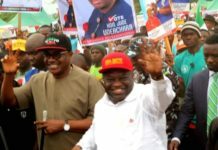 After reviewing another press statement by the 2015 defeated Governorship candidate of the All Progressive Grand Alliance (APGA) in Abia State, Mr Alex Otti, titled “ikpeazu, I will not join you in the mud” it is now clear to us that the perpetual sore loser is apparently on a vengeance mission against common Abians for his electoral defeat in 2015.. While most citizens of Abia state celebrated the approval of the $200m AfDB facility for infrastructure development in the state, we were recently informed of the nocturnal activities of Mr Otti who visited officials of the federal ministry of finance and some members of the National Assembly committees that approved the facility with satanic offers to reverse the approval and deny innocent citizens of the state the opportunity to witness and benefit from first class infrastructural projects. 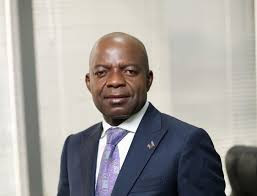 Though Otti’s offers and malicious requests were thankfully rejected by the concerned persons, it is instructive to note that of all the 10 states that sought National Assembly approval to borrow from international finance institutions, only the Abia approval is under any form of contention. To our dismay, Otti is still on the agenda of undermining the development of the state in pursuit of his inordinate ambition to rule the state against the people’s collective will. Those who are familiar with our recent political history will not doubt that the malicious shenanigans align with the character called Alex Otti, who even to date is still at the Supreme Court interloping and meddling with judicial processes that ordinarily have nothing to do him, after failing in his attempts to distract our administration with long drawn out and ill advised litigations that should have ended with the Supreme Court dismissing his petition on the 3rd of February 2016. It is now clear to all unbiased observers that of all aspirants who lost the 2015 Governorship election in Abia state, Mr Otti is the most bitter and unpatriotic. He is determined to ensure that we not only fail to deliver dividends of democracy to our people, but also punish the people for daring to vote against him. Otti’s latest press release confirmed that he either has comprehension problems or is intrinsically challenged with capacity to seek information through verifiable sources. 1. Apparently Mr Otti could not deny the fact that he lied to our people during the campaigns that he sourced for and obtained $100b IFC loan, as a private citizen, that he will deploy from his “first day at work”. 2. It is also instructive that he has dropped and/or could not substantiate his false claims of our borrowing N30b from an unnamed commercial bank. Instead he has revised his conjectures to another non existent N10b loan from “an old generation commercial bank” whose name remains in his personal make belief universe. For the avoidance of doubt, Abia State Government, under the watch of Governor Okezie Ikpeazu, did not borrow N10b from any old or new generation commercial bank. 3. 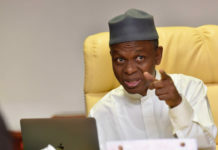 Interestingly, Mr Otti hid under statutory corporate regulation to reject our call for a review of his stewardship at Diamond and First Banks, whereas he conveniently forgot that state governments are statutorily subjected to regulation and review by other organs of government such as the State House of Assembly and other agencies. Why didn’t he wait for those organs or independent agencies to carry out oversight on the government rather than run off with dangerous misinformation and actions? Yet, we insist that Otti’s records at First Bank and Diamond Bank do not cover him in glory, as he will want the world to believe. 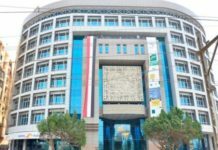 We have facts and figures with regards to his activities at the public sector unit and corporate banking departments of both institutions and wish to further challenge him to explain to the public why almost all the staff that worked with him in corporate and public sector banking team at Diamond Bank, including those he brought from First Bank, were sacked the week after he was forced out. Given that he has chosen to hide under corporate regulations it might no longer be necessary to ask him to shed light on the failed attempt at stealing Diamond Bank from the Chairman, Chief Paschal Dozie and his family. Indeed if Otti continues to insist that he served well at Diamond Bank and First Bank, may be we can wait for those institutions to issue statements in his defense as proof of his supposed excellent performance. But we strongly suspect that neither Diamond Bank nor First Bank will issue any such statement given that they are still battling to come out of the devastation associated with his supposed excellent services. One thing is certain though, previous claims of compliance with regulatory requirements didn’t save well known former bankers from going to jail in the past and the earlier Mr Otti braces up for any inevitability the better. 4. Available records at the Debt Management Office (DMO) of the Presidency confirm that as at 2015 Abia State was among the least exposed states with a total loan portfolio of about N6b. Whereas some of our neighboring states recorded more than N35b exposure but still benefitted from the bailout funds. Otti only need to verify this fact from that office, if he was not on a mission of dangerous misinformation aimed at punishing our citizens for rejecting him at the polls. 5. It bears restating that the initial MOU for the $200m AfDB facility was signed in 2014, before the emergence of the current administration, following stringent reviews and meetings that involved then Finance Minister, Dr. Ngozi Okonjo-Iweala, a renowned economist who headed the World Bank for many years. Our administration pursued the realization of the facility because we are in a hurry to develop our state by providing and renewing necessary infrastructure that will drive accelerated development and make life better for our citizens. The past and current efforts of the state in pursuit of the facility were well reported in the media, including the review visits by teams from AfDB, Federal Ministries of Works and Finance respectively. At all material time, the discussion and subsequent memorandum of understanding (MOU) was centered on a facility of $200m for integrated development projects as against rural access mobility projects (RAMP). 18th July, 2017 to correct the observed mistakes. It was simply on the basis of the referenced letter that the National Assembly approved the $200m AfDB facility for Abia State Integrated Infrastructure Development Project (ASIIDP) from African Development Bank. In fact we have it on good authority that one of the officers Mr Otti visited to seek the cancellation of the facility showed him a copy of the letter. Yet, he chose the path of dangerous misinformation in order to punish Abians for voting against him. 7. It is laughable that Mr Otti is asking about approval of the $200m facility by the Abia State House of Assembly at this time. While the leadership of the house was at all times fully appraised of our efforts at obtaining approval for the facility, it is elementary to expect that since it is actually the Federal Government that is borrowing on our behalf the National Assembly should approve the facility first. The state legislature has long been formerly notified of the approval of the facility by the National Assembly and are expected to do the needful on resumption from their annual vacation. If indeed Otti was in contact with members of his party at the house, as against abandoning them immediately his desperate quest to govern Abia was dealt a death blow by the Supreme Court, he would have known all these. 8. It is a well known fact that Otti is one of the helicopter politicians who only come down during elections to dish out lies and misinformation to voters. If he had been on the ground or even still have the phone numbers of his party’s ward chairmen, he could easily have verified the roads we worked on at Aba and other locations in the state. We wish to advise that he makes the call today or come down to the state and verify all the following listed projects executed by our administration in the last 2 years. 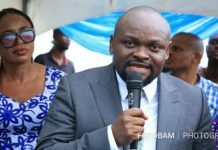 Interestingly, Mr Otti even failed to acknowledge the ongoing road construction work along the Umunkpei-Amaiyi Road that passed through his claimed paternal village of Umuehim in Isiala Ngwa South local government area. More than 4km of that road has been asphalted and commissioned for use to ease the sufferings of our people. 9. Some of our ongoing and completed projects at Aba and other locations in the state are stated below for verification by Otti at any time he chooses to come down from the helicopter. In agriculture, the state has launched large scale mushroom production and training program that is already yielding great results. Our administration is actively supporting rice farmers to further boost production, and put ‘Abia Rice’ in the market as soon as possible. We have a massive Palm plantation with over 4,000,000 tenera specie seedlings grown and sold across the state. Abia state government is funding commercial agriculture through grants and soft loans to farmers. We have provided mechanized farming equipment across the state through leasing at affordable rates that is less than 50% of the previous cost. Commercial production of cocoa and cashew have been boosted through deliberate investment by the government. Our objective is to ultimately establish processing plants for the primary products to further enhance benefits within the value chain for the cash crops. We are directly providing fertilizers to farmers at subsidized rates alongside extension services. Our administration embarked on enhanced poultry and fish production with phase 1 of 100 poultry pens of 2000 birds executed. In the coming months we will replicate the facility across the 3 geopolitical zones. This administration constructed a 165,000 birds capacity poultry processing plant at Umuosu in Abia central senatorial zone. Additional two units for Abia North and South are currently under construction. Following our provision of counterpart funding for FADAMA III projects, 300 young Abia farmers will benefit from N2.5m per person grant as part of the Farmpreneur project of the world bank (FADAMA). Also in partnership with the world bank, we have commenced reactivation of the moribund Igu Dam to ensure all year round rice production in the state. As part of our capacity building agenda, we launched the Education for Employment (E4E) scheme that has already produced 472 graduates with relevant skills in ICT, at Phase 1. Phase 2 of the program which is aimed at training 36,000 unemployed Abians in different skills will commence in September. For the first time in our state, a database of unemployed Abians has been compiled and we are taking verifiable actions to provide them with jobs using our recently launched Abia state job portal. To further enhance the capacity and productivity of Abia teachers, we are partnering with Australian education providers to retrain them and enhance teaching efficiency. More than 800 teachers have benefited from this program. Under our watch, Abia State has maintained 1st position in WAEC and NECO examinations for consecutive 2 years as a result of increased monitoring and enhancement of private and public sector educational resources. To motivate our teachers for better performance in our schools, we donated cars to best performing teachers from the 3 zones and also built staff quarters at Umuahia Township Stadium. In consideration of the current socio-economic situation in the country, we reduced tuition fees at ABSU, Abiapoly and College of Education Arochukwu to support Abia parents and guardians. Our homegrown free school feeding program was launched and currently ongoing across the state. Also our administration partnered with the private sector to provide free Made in Aba school sandals to over 2000 school children in the state. More will benefit from this program which also supports our Made in Aba promotion agenda. In order to boost ICT education and stimulate interest in that area in our children from early age, we launched Free ICT and Coding training for primary and secondary schools in the state using the e-library at Umuahia as hub. For the first time in our state, we launched and deployed a unified education platform for all schools in the state. Results and activities of all Abia school children can be monitored from one platform for private and public schools. In fulfillment of our electoral promises, we have commenced the construction of model schools with nursery, primary and secondary schools in one place alongside dormitory, sports facilities and teachers quarters. This we are able to execute because we paid our UBE counterpart fund of N2.8b. To support regular monitoring of schools in rural and urban areas of the state we launched a new statewide education inspectors scheme and provided 42 motorcycles to enhance efficiency. Our administration has reconstituted the state scholarship board and awarded tertiary education scholarships to best performing WASCE students in all the LGAs for 2 years. In the area of infrastructure development and renewal, caterpillars and other construction equipment have been active across our state. A. The Ultra modern Abia Investment House was constructed and commissioned by then Acting President Yemi Osibanjo..
B. Okon Aku bridge at Ohafia local government was delivered and is currently in use. C. Nneato Bridge leading to Eziama Umunneochi was also commissioned and put to use. D. Street lighting projects were executed along selected roads at Aba and Umuahia. E. In Abia State today, over 60 road projects are ongoing with 26 others already delivered and cmmissioned for use by our people. G. Our administration introduced the use of Rigid Pavement (Cement) Technology in road construction to guarantee minimum of 30 years life span for concerned roads. Most of the roads we constructed at Aba were done using this technology following our realization, through painstaking research, that to ensure longevity of new roads at Aba we need to ensure that all our roads are solid with double drains that empties into free flowing major drainage facilities that terminates at our already partially dredged storm water collection points. H. We embarked on massive desilting of drainage-ways (gutters) at Aba and partially dredged waterside river to receive more storm water and prevent flooding of our roads after the usual heavy rainfall we experience for more than 8 months of the year. I. It is on record that our administration commenced the construction of the first ever Abia interchange (flyover) since the creation of the state, at Osisioma Aba. J. Recently, our administration awarded new contracts for the reconstruction of PH, Ngwa road, Osusu, Omuma and Uratta roads with preliminary works concluded. The new PH road is expected to be a 6 lane road with dedicated BRT lane and actual earth moving work is expected to commence this October at the roads. K. Our administration is actively working on federal government owned Aba-Owerri road Aba with drainage and other works currently ongoing at portions of the road. L. We have completed 2 massive erosion control works at Imenyi Bende and Abiriba roundabout. Another erosion control work is ongoing at Umuda Isingwu in Umuahia north local government. As part of our efforts to reactivate moribund factories in the state, we resuscitated the Aba Glass industry. Currently, we are clearing up issues of ownership and gas supply to the facility. To support our MSMEs with steady power supply, we are actively working with the federal government to provide steady power supply at Ariaria International market area of Aba. Our administration is also supporting Geometrics to commence operations and provide uninterrupted power supply to Aba. The initial works for the emergence of Umukalika leather and garment cluster is ongoing and we hope to move into the location early next year. Our focused promotion of Made In Aba brands has attracted Federal Government support for MSMEs at Aba. Already, we have helped to facilitate thousands of orders from the military, customs and others for Aba made shoes and uniforms valued at over N2b. As a result of the pull on demand occasioned by our promotional activities, Aba shoe makers now export more than one million pairs of shoes weekly to neighboring countries. Unlike in the past, the products are proudly branded as Made in Aba. Internationally, our efforts at promoting Made in Aba brands have received support from Ford Foundation who funded and launched international promotion campaigns for Made In Aba brands at zero cost to the state. We have also launched Government enterprise empowerment program (GEEP) that provides up to N100,000 to selected Abians who are grouped in cooperative societies. So far the program has funded more than 1,000 Abians. In support of our young entrepreneurs, we supported the South East Entrepreneurship Development Centre with south east headquarters at Umuahia, a Central Bank of Nigeria (CBN) program, with N100m take off grant. In the area of transportation, we trained and launched TIMAAS to enhance discipline on or road use discipline and free flow of traffic at our towns. The perennial security challenges in our state are being tackled through our unflinching support to security agencies in the state, including donation of 35 vehicles that are equipped with communication gadgets for improved anti-crime operational efficiency. Our aggressive policy of demolishing kidnappers properties and dens, cash for whistle blowing on kidnappers and expansion of the local vigilante (Bakassi) services have helped to reduce crimes and secure the state. According to a recent report by the Federal Office of Statistics (FOS), Abia state recorded the 2nd lowest crime rate in 2016. In the area of healthcare delivery, a number of successes have been recorded in the last two years. Our Emergency Medical Services (EMS) was launched in Jan 2017 to provide services across the state with initial 2 units of state of the art Intensive Care Unit fitted motorized equipment with appropriately trained staff. Service is accessed via a dedicated Toll free number 112. This service in future would be tied to the State Health Insurance Scheme. We implemented WHO/FMOH model of one primary health care (PHC) per political ward. 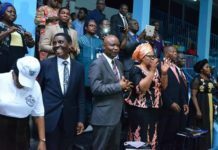 Abia State now has 292 WHO recognized Primary Health Care centers (PHCs) across the state alongside Primary Healthcare under one roof (PHCUOR) which is in keeping with international best practice. Our deliberate actions and policies attracted the Basic Health Care Provision Fund (BHCPF) beneficiary pilot state status attracting N1.5bn (July 2017), from The World Bank following the successful hosting by Abia State in January 2017 of The 59th National Council on Health. These funds are to be applied at the 292 PHCs for qualitative services at that level of care. Abia State’s Tele-Health Initiative (ASTHI) have concluded the 6 months of pilot tests in 15 PHCs. We are commencing the roll out across the whole 292 PHCs in the state later this year to help bring life saving care to all our communities. On our watch, the Canadian Government is partnering with the state for the Integrated Community Case Management (ICCM) of the 3 childhood killer diseases of malaria, diarrhoea and pneumonia being anchored by Society for family Health(on behalf of WHO/Canadian Govt). This project is now in its transition phase to full management by the state Government. The organized private sector in Nigeria is lending support to our focused healthcare improvement effort with MTN Foundation funding 2 PHCs in their new program “what we can do together campaign” in Ikwuano and Arochukwu LGAs. 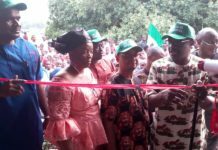 They also helped to build 4 brand new and world class maternal and child wards at Okpuala Ngwa, Owaza, ABSUTH and Abia Specialist Hospital in Amachara Umuahia. Nestle Plc is collaborating with us in the areas of infant nutrition and maternal care services. Already, an MOU with Nestle Nutrition Institute in Africa has been signed. The first phase of capacity building training/development for our medical personnel have been concluded. It is expected to continue with the aim of further improving our health indices. Our administration commissioned a General Hospital in Obingwa, complete with accommodation facilities for medical personnel. Remaining 3 new general hospitals located at Arochukwu, Ikwuano & Okeikpe are at 95% completion. We have within this period also re-furbished maternal and Children’s building at ABSUTH Aba as well as executed a PPP arrangement to procure cutting-edge medical equipment at the tertiary healthcare institution. Furthermore, we have obtained Re-Accreditation of Undergraduate medical training for new doctors at ABSUTH and currently working on the re-accreditation of post-graduate training schools in obstetrics & gynaecology, surgery and pediatric medicine. Abia state recorded improved Health Indicators, compared with other states and national averages, as can be verified from data available with World Health Organization (WHO). To further improve healthcare services and curtail medical tourism, we are collaborating with The Hospital Group in the USA for the Obuaku Medical City and The East Coast Medical Group in the USA for a specialised organ transplant centre in the old Aba General Hospital while Capital Health Surgical Group is upgrading the Specialist Hospital Amachara to an Urgent Care Centre. In general, referral medical facilities are at a level never witnessed in the past. Enyimba international stadium at Aba is undergoing remodeling with Astro-turf and new stands almost completed. We are also aggressively re-introducing school sports to develop new talents. Our administration is deepening democracy in the state and successfully conducted Local Government polls that produced elected officials at the 3rd tier of government. We challenge Mr Otti to embark on a personal verification of the ongoing and completed projects of our administration rather than make mockery of himself through his posturing as Abia’s Facebook Governor. Facebook governance is different from delivering dividends of democracy to the people. 10. It is clear that Mr Otti, in his mission to dangerously misinform Abia citizens, depend on information sources that even a first degree student will not mention as a footnote in his thesis because of their unreliability. He relies on information dished out by his social media hirelings who are, like him, based outside the state. His “global village” sources only serve to ridicule him and his supposed status as a former bank Managing Director. Why is a man of his supposed “accomplishment” relying on churned out lies and half truths to derail his state and in that process ridicule himself?. While Mr Otti “faced book” is completely immersed in lies, sophistry and mischief, we are squarely facing the task of delivering the dividends of democracy to our people. 11. Our administration has never shied away from transparently informing citizens on all aspects of the management of their financial resources. On regular basis, we engage citizens through town hall meetings, live radio and television programs etc to appraise them of the financial situation of the state. This fact accounts for the overwhelming support and understanding of our citizens as we navigate through current national economic challenges. If Mr Otti had relocated from his global village of fake news to Abia state, he wouldn’t have found it difficult to source for details of our monthly inflows and major expenditure items. 12. Our administration inherited a monthly wage bill of N2.8b and progressively reduced it to the current N2.1b without sacking any worker or paying less than 100% wages to our workers. Not only did we use biometrics and other ghost workers bursting tools, we also commenced the deployment of an integrated pay roll system as well as abolished the sub treasury system for payment of pensioners. Today, our pensioners no longer stand under trees to get their pensions and we are up to date in payment of salaries of workers of ministries, departments and agencies (MDA). Apparently Mr Otti does not understand that outside the MDAs that make up 70% of state workers, there are other workers such as those in parastatals. For some of the parastatals, our obligation includes giving them monthly subventions to augment the operational revenues they generate. 13. Assuming, but not conceding, that the state has received N74b FAAC inflows over the past 26 months, as claimed by Otti, it is important to note that the projects listed above were funded mostly from FAAC receipts. The state’s MDAs are up to date with salaries while only revenue yielding parastatals are still owed, alongside 4 months outstanding for secondary school teachers. For the period under review we have paid more than N63b in salaries and pensions. All these can easily be verified from labor unions in the state rather than depending on gossip publications and beer parlor banters. 14. Local governments have three statutory payments they make monthly: LGA workers salary of N920m, Primary School teachers salary of N720m and LGA pension of N340m. With N1.98b monthly payment it is easy to see the source of the 2 months LGA workers outstanding salary, 5 months LGA pensions and 4 months primary school teachers outstanding salary. Otti’s allocation figures for LGAs of N46.96b over a period of 26 months averages N1.8b monthly. 15. While the state’s internally generated revenue peaked at N1b in December 2016, the levels have fluctuated from the inherited low of N400m per month. It amounts to dangerous misinformation to suggest that we have operated in the past 26 months with a static IGR of N1b monthly. 16. Apparently it was difficult for Otti to comprehend the clearly stated application of the bailout and Paris refunds as stated in our previous response. In that case he should feel free to contact Labour leaders in the state and the state house of assembly that includes members of APGA to verify our assertions. However, it is crucial to restate that ICPC reviewed our management of the bailout funds and singled out our administration for commendation. Similarly, the leadership of Nigeria Labor Congress in the state publicly commended our transparent management of the two tranches of the Paris Refunds. 17. While we acknowledge salary payment gaps with some revenue generating parastatals and have taken measures to ensure that the situation is remedied and regular payment of salaries and pensions achieved, some of the issues that led to the situation have been identified and are actively being addressed. 18. To ensure sustainable maintenance of our road infrastructure by the Abia State road maintenance agency (ABROMA), we recently acquired 6 brand new earth moving equipment of CAT brand valued at over N600m for all year round road maintenance works. Our decision to make the investment stems from the premium our administration placed on good road infrastructure as a catalyst to drive our integrated development agenda. 19. We will continue to make necessary investment and interventions to secure our state, run a functional administration that is focused on delivering much more dividends of democracy to our people as well as develop our human capitals and other resources. 20. We wish to assure our people that our commitment to serve and deliver on our promises to them will never waver or diminish regardless of what political desperadoes and sore losers may throw at us or them. 21. While we have taken time to transparently respond to the issues raised by the defeated APGA candidate, in line with our administration’s policy on transparency, it should be noted that Abia State has produced many successful serving and former bank managing directors including a former central bank of Nigeria Governor. The only reason Mr Otti is attacking our administration and crossing the line of decorum and sanity by approaching official quarters to stop a facility that will surely help our citizens is malicious politicking. That Mr Otti’s brand of politics is blind to our modest achievements within the past two years does not bother us except that we had hoped that all hands should have been on deck to develop our state rather than sabotage it for parochial partisan considerations. That a citizen of our state who claims to love our state is moving from office to office, media house to media house to sabotage the greatest development window that have opened to us since the state was created is a new low even for dangerous politicians on a mission to misinform. We wish to assure Abians that those who boasted that they will ensure that “Okezie does not receive the AfDB facility to develop the state and become unchallengeable in 2019” will surely fail in their schemes.